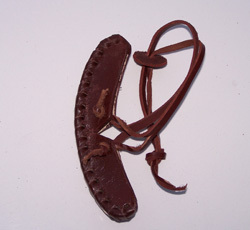 This	tip	sheath	will fit all the hawks out there, the slit in the center adjust to any cutting angle of your blade, it's all leather and has two laces to draw it up at the back, they go into a leather keeper that keeps the laces tight. 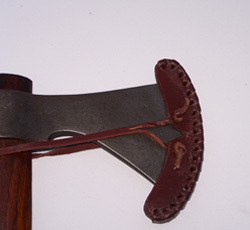 There's also a small one for the bag axe available. It's a dollar less in price.